Across Scandinavia, high school graduates wear white caps as part of the celebration. In Sweden, the cap is white with a blue band and a black peak. 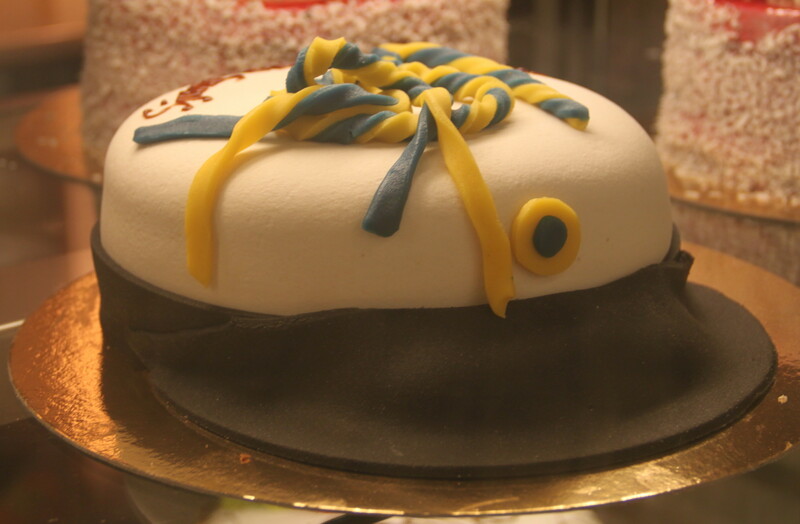 For graduation celebrations, the local bakery in Märsta made cap-shaped cakes.